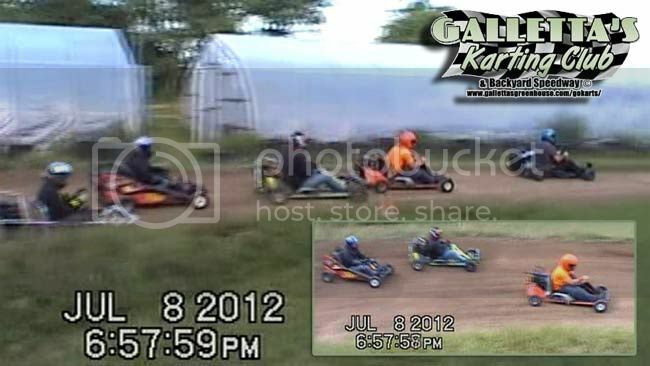 Galletta's Greenhouse Karting Club | July 8th, 2012 - Twin-30s w/11 Karts | Town of Oswego, NY! Again, heat races serve as warm-ups that count for bonus points, and have no effect on the starting lineup of the feature race, although they do provide a sneak preview as to who is running good while giving time to those who need to wrk a bit more. The handicap starting lineup of the feature is split into two and we race. 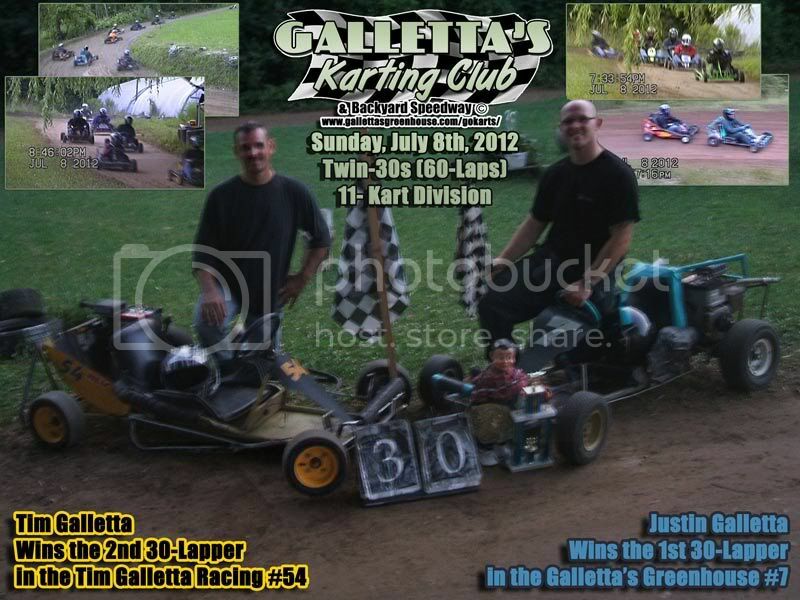 Justin Galletta looked like a man on a mission as he took heat one, always difficult to do when Matt is in your heat! Heat two saw Joe Sereno come back after a stall to beat Chris Stevens to the front for the win via boxing him in on the Galletta's #9. A very funny closeup of Adam Lytle's right front tire coming off (and thde said tire being run over) is on camera (buy a DVD or watch it on YouTube). Per usual with the Twin-30s, the first feature is lined up via the Galletta's traditional handicap start (inverted by wins and points-per-event)! Billy Ruggio got out to a wicked fast start, pulling away from the pack. 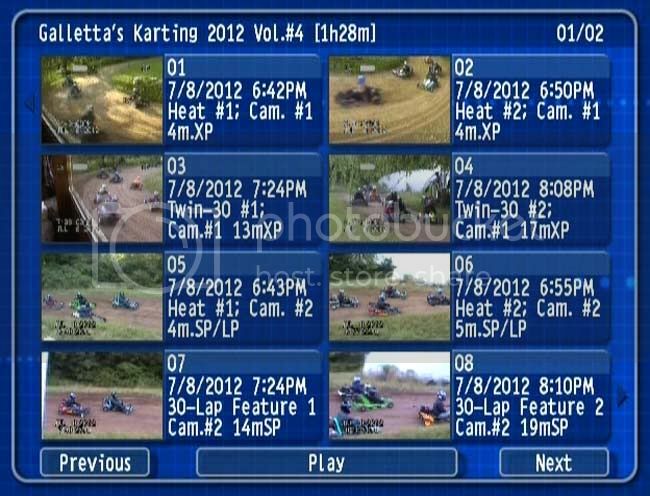 Lots of great racing action took place, which you can see via the DVD and/or the YouTube video. And great racing it is... these are open wheel vehicles driven by grown men - no overpriced missionary-position sittin' bumper karts here, kids. Again Matt does the ol' "I'll show you that all my karts are capable of winning" and climbs in the Galletta's Greenhouse #1. 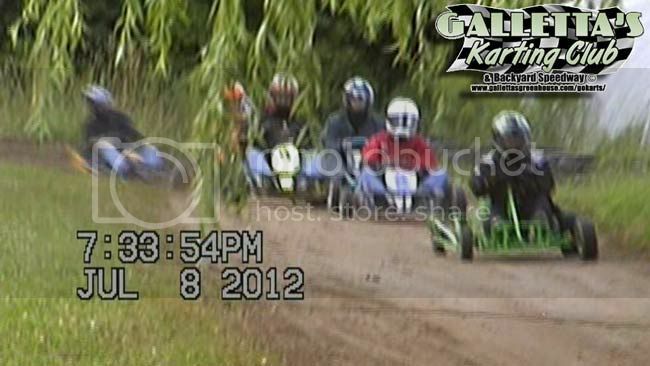 Another comical interlude happened, this time in the feature when Bill Ruggio did a partial spin in the opening stages of the feature, which caused karts to scatter to avoid (well, except Tim wh just plowed through him, haha)! 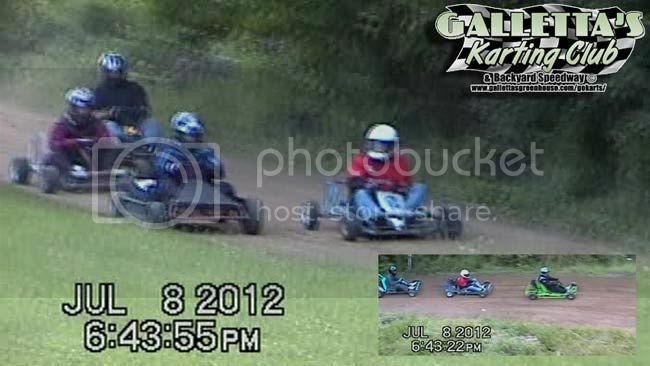 Joe Sereno flew off the track to avoid a prone kart, which would've been a third comical scene if not for the fact that neither camera caught it! D'oh! 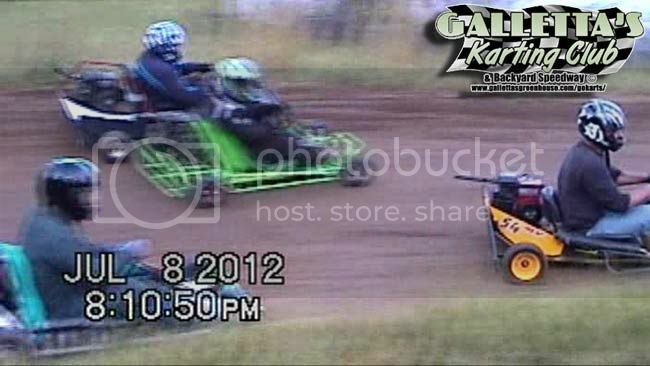 This is how it went down when the checkered flag dropped. 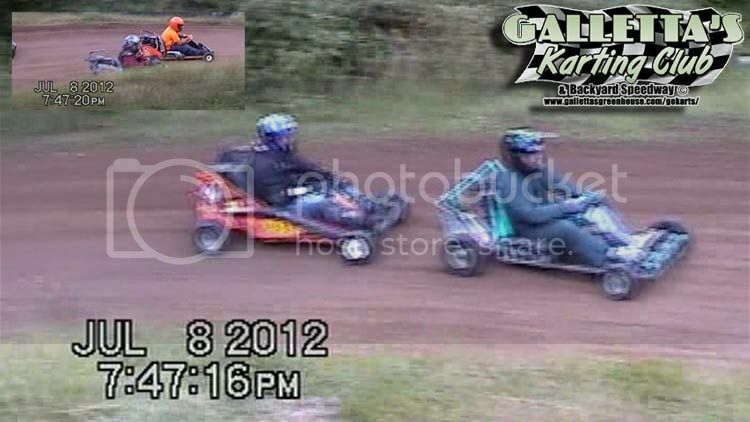 This shows just how close our racing is, folks. 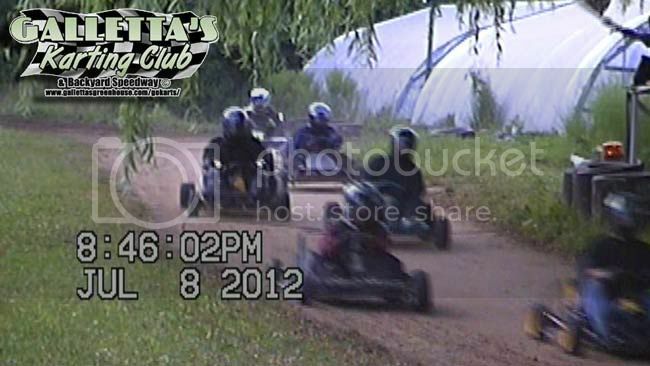 Independence Day 45 / 9-Kart Race!